MONTREAL — Hydro-Québec is pressing ahead with proposals to build several power corridors into the U.S., part of the company’s efforts to broaden its exports into the region amid deepening environmental pushback against major infrastructure projects. On Friday the company submitted a proposal to the New York Power Authority to provide as much as 8.3 terawatt hours of emissions-free electricity to the region through new and existing transmission lines. The state recently announced it would accept bids for renewable energy projects totalling $1.5 billion as it looks to meet its climate targets. Hydro-Québec made a similar proposal to the states of New England in July, where it also plans to build new electricity lines. Canada’s largest utility provider has proposed four major power lines into the region, totalling several thousands megawatts of capacity, in a bid to snag a portion of a fast-growing market. Hydro-Québec already has a sizeable foothold in the northeast U.S., with 48 per cent of its power sales outside Quebec going to New England and 26 per cent to New York. The company currently exports about 15 per cent of its total hydro capacity, which is around 36,000 megawatts. But it aims to substantially increase its exports into the region in coming years as part of a broader expansion effort under Martel. The company hopes to double revenues by 2030, and is eyeing new investments in South America and Europe to diversify cash flows. Another major opportunity is in the northeast U.S., where scheduled closures of coal plants and nuclear facilities threaten to leave the region with a dearth of available supplies. New York and other states have forced shutdowns on several facilities in order to trim their carbon footprints. All six states within New England have set stringent targets to return emissions levels to 1990s levels, while New York aims to have 50 per cent of its power generated by renewable sources by 2030. According to ISO New England Inc., a non-profit group focused on transmission systems, between 7,000 and 8,000 MW of generation could be shut down in the next 10 years as state regulators scramble to meet their climate goals. In January, officials confirmed the 2,000-MW Indian Point nuclear facility, located about 77 kilometres north of New York City, would be shut down in 2020. A slew of renewable energy providers have stepped in to fill the gap. “What you’re really going to need is a basket of new energy resources to be able to meet that demand,” said Don Jessome, the CEO of Transmission Developers Inc., a company owned by private equity giant Blackstone Group. The company has a joint-venture with Hydro-Québec on two transmission projects, the US$2.5-billion Champlain Hudson Power Express and the US$1.6-billion New England Clean Power Link. Champlain will deliver roughly 1,000 MW to markets near metropolitan New York, and will run beneath the floor of the Hudson River. The Clean Power Link will deliver power 247 kilometres from beneath Lake Champlain and onto markets in Vermont and New England. Both projects have received presidential approvals and the company hopes to break ground next year. But opposition to major infrastructure developments, from natural gas pipelines to wind farms to power lines, have been met with intense opposition by local environmental organizations and community groups. Local groups have successfully stalled major wind projects in Vermont, and snarled major gas pipelines leading out of the Marcellus and Utica shale formations in the eastern U.S. The opposition is part of a recent trend in which local groups reject effectively all types of major new developments, and one that companies are learning to navigate as they move ahead with mulitbillion dollar proposals. “It’s almost impossible to get complete consensus, but we’re trying to listen to people every day,” Martel said. He said that increased energy trade between the two countries could help northern U.S. states cut back emissions while providing a stable partner for Canadian suppliers with surplus emissions-free power. “We would all benefit from having a more integrated network,” he said. Many locals are vehemently opposed to above-ground transmission lines, forcing companies to instead bury their high-voltage cables below ground—a costlier option. The US$1.7-billion Northern Pass line proposed by Eversource Energy, also to be supplied by Hydro-Québec, could see costs rise after regulators asked the company to bury its cables deeper than originally planned. That project has received its environmental permits, and is expected to receive a presidential permit in the coming months. Some activists have argued against Hydro-Québec’s proposals on the grounds that domestic supplies of wind and solar would be cheaper, though some analysts say long-term supplies of hydro power are likely to be a cost-effective option. “These states certainly have these supplies, but it’s a question of how much it’s going to cost,” said John Larsen, a senior associate at the Washington-based Centre for Strategic and International Studies. However, Hydro-Québec and others also face competition from natural gas suppliers, whose costs have fallen in recent years amid a glut of new supplies. 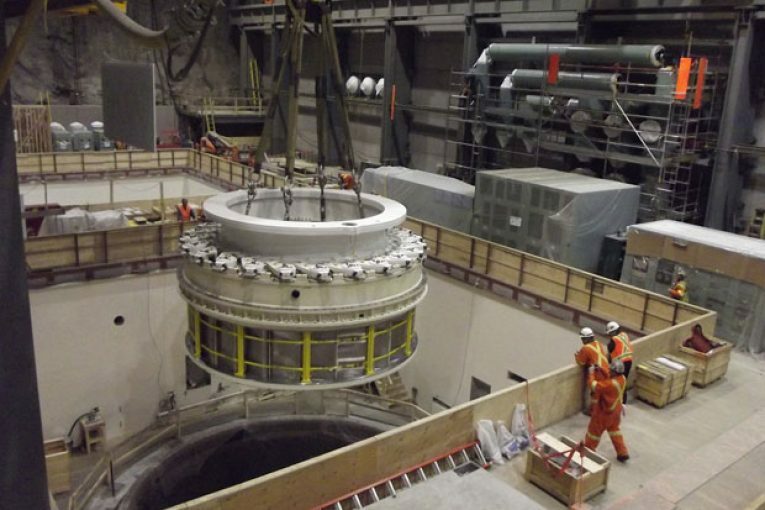 Last year the New England Power Generators Association, a lobby group, said the long-term contracts offer a potential “sweetheart deal” for Hydro-Québec. The group said domestic suppliers, including natural gas providers, are likely to offer a cheaper option for states.